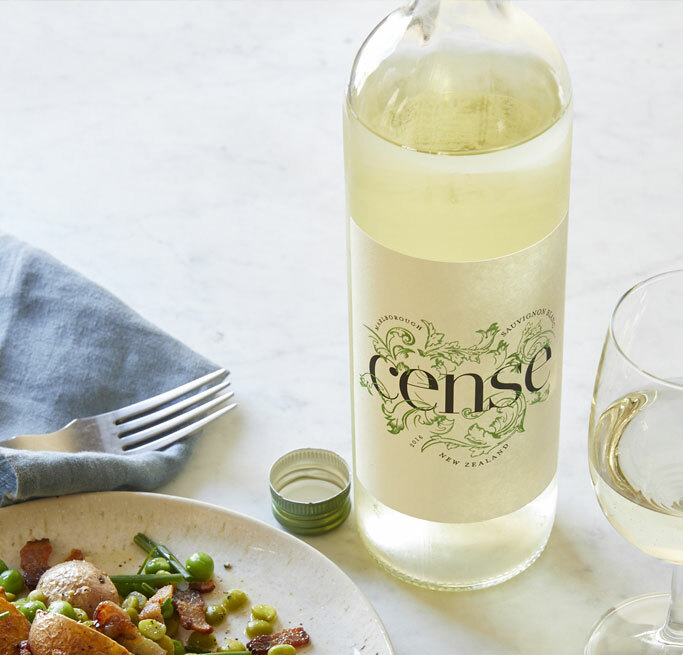 Weight Watchers teamed up with the Truett Hurst Winery to launch Cense Sauvignon blanc, which boasts only 85 calories and three SmartPoints per glass. Finally, a wine that works in tandem with your diet goals. Weight Watchers has teamed up with the Truett Hurst Winery based in Northern California to bring us Cense, a low-calorie Sauvignon blanc. The wine is only 85 calories per glass, or three of Weight Watchers' SmartPoints. Cense's grapes are grown in Marlborough, New Zealand, a region known for its Sauvignon blanc, Pinot Noir, and Chardonnay. One of the most fundamental guiding principles behind Cense is avoiding shoving the whole diet-friendly, low calorie thing in your face. As Ryan Nathan, Weight Watchers' vice president of consumer products, told Wine Spectator, "We're being very sensitive to the consumer groups, both the broader people that are living life fully while trying to lose weight, and then the people that are more anchored in the Weight Watchers customer base. You're not going to see '30 percent less calories!' plastered on the front of the bottle." So how will customers know that this is a lower-calorie, Weight Watchers-backed wine? Look for a little label on the back that you can remove if you want to. It's worth noting that this is more of a wine for people who want to enjoy the flavor of Sauvignon blanc in a diet-friendly way than people who want to get tipsy in a diet-friendly way. While Cense boasts that it has all the flavor of a Sauvignon blanc despite its reduced calorie count, the wine is only 9.6 percent alcohol by volume, compared to most bottles' ~13 percent ABV alcohol content. And that's intentional—the process of making this wine involves filtering out some of the alcohol in service of flavor. Good news, dieting rosé lovers: Truett Hurst's CEO Phil Hurst told Wine Spectator that, now that they have a process for making these wines, they're going to try out more varieties. Plus, he said, "Rosé is at the top of our list." Something to look forward to for this summer? You can read more about Cense and buy it online at censewines.com.